Don't let snoring ruin your relationship or a good night's sleep! Learn what causes snoring and how you can stop it. Discover our exclusive range of premium healthcare products. Shop online 24/7. No account registration is required. Flat-rate worldwide shipping : W.Malaysia (RM8), E.Malaysia (RM12) and International (RM16). The latest "Precision Lock Technology" design makes Snore Eliminator 2.0 - the most effective form molding anti-snoring adjustable MAD (Mandibular Advancement Device) mouthpiece on the market. 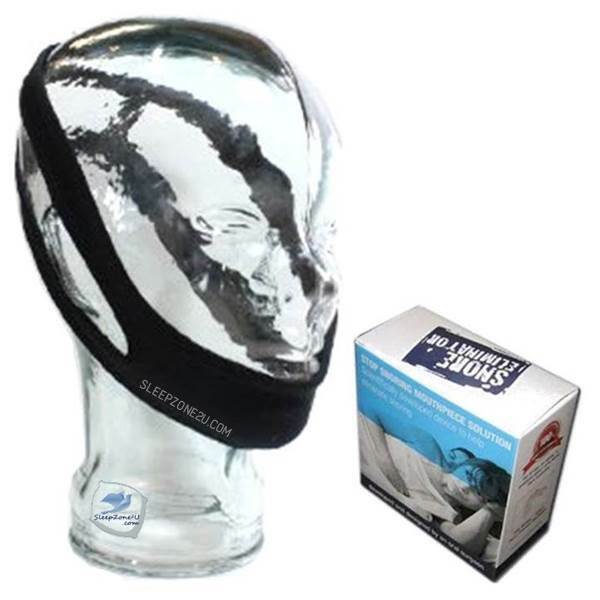 Snore Eliminator Chin straps are designed to keep your mouth closed and stabilize your jaw in the right position to prevent your airway from being blocked while you sleep. ► Made of stretchy, comfortable Neoprene material. Latex free. 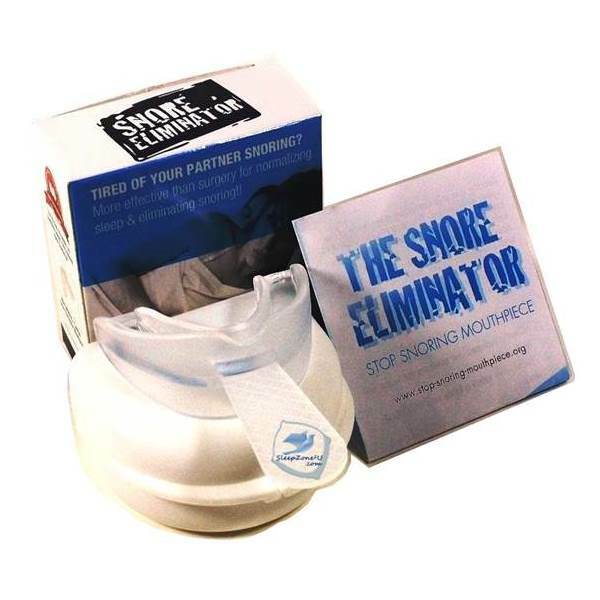 The official Snore Eliminator™ is a custom-fit oral appliance to treat snoring. The Eliminator is an advanced medical grade device that is designed to deliver maximum comfort and clinical effectiveness in reducing snoring. 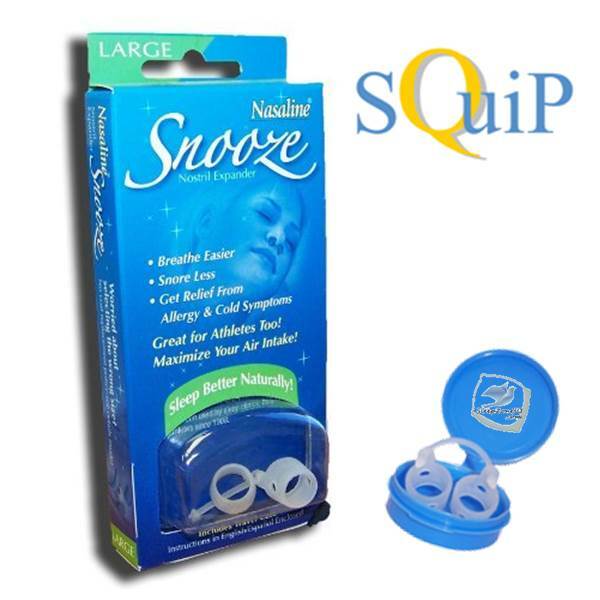 The Snore Eliminator™ patented self molding customized anti-snoring mouthpiece is second to none. This advanced mouthpiece was developed and designed by Dr. William Vachon, an Oral Surgeon for 15-years in Myrtle Beach, SC, USA. The custom molded mouthpiece works by a method called 'mandibular re-positioning' whereby the device gently advances your lower jaw forward, which creates an open airway through your throat, eliminating the vibrations that cause snoring. This is the key principle in all snore mouthpiece or oral appliance devices available from your sleep physician or dentist. Snore Eliminator is classified as a Mandibular Advancement Device (or oral appliances), which studies show it works effectively with 85% of snorers (according to studies conducted in the USA). Recommended by both doctors and dentists, it is made from hypo-allergenic thermoplastic that is easily molded to the shape of the snorer’s mouth..
As the muscles throughout your body relax during sleep, your jaw relaxes as well. In some cases, your chin will drop down causing your mouth to open which may result in snoring. Adding to the issue is the relaxation of the tissue in the back of your throat. This can cause your tongue to fall back, blocking your airway so you begin to snore. Blocked airways are responsible for snoring, and unblocking them by advancing the lower jaw is how the Snore Eliminator™ mouthpiece helps you get a better night's rest. Just a slight advancement of your jaw can open your airway and prevent your tongue and oral tissues from vibrating. Snore Eliminator custom-fit mouthpiece is an inexpensive solution for those who suffer from TMD, headaches, TMJ, and teeth grinding (bruxism). According to clinical studies, you have an 85% chance that the mouthpiece will work for you. If you find that after the first night that you still snore then re-mold the mouthpiece with your jaw slightly more forward. Wearing an anti-snoring mouthpiece is a lot like wearing a gum guard before going out onto the sports field. Like anything, it takes a short while to get used to and at first it may feel a little weird to wear it. You may experience some initial tooth pain / discomfort and jaw / cheek muscle discomfort purely for the reason that you are moving your jaw into a new position and making the muscles adapt and work! Just think of it as taking your jaw to gym and working your muscles in a different way. The initial minor discomfort is short-lived and well worth it! After a week or two of use you will be so used to the feeling of sleeping with the mouthpiece that you won’t even know it’s there. You will be focusing more on the fact of how refreshed and energetic you feel throughout an entire day and how well you are sleeping at night. 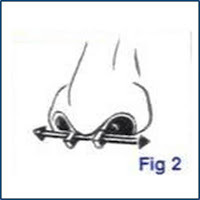 What does a Mandibular Re-positioning device mean? What does it do? Snore Eliminator is a mandibular re-positioning device, meaning it gently advances your lower jaw forward, which creates an open airway through your throat, eliminating the vibrations that cause snoring. 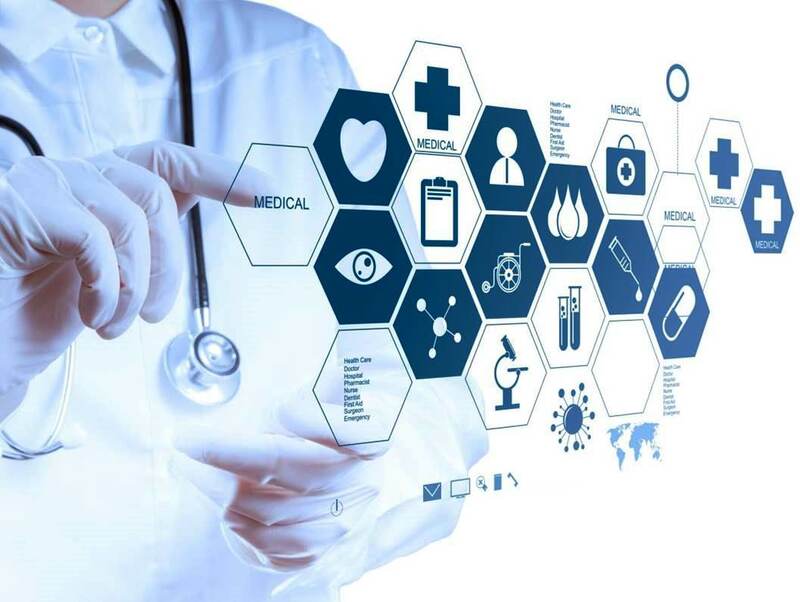 There is significant clinical research supporting the use of this technique. Does The Mouth Piece Works? 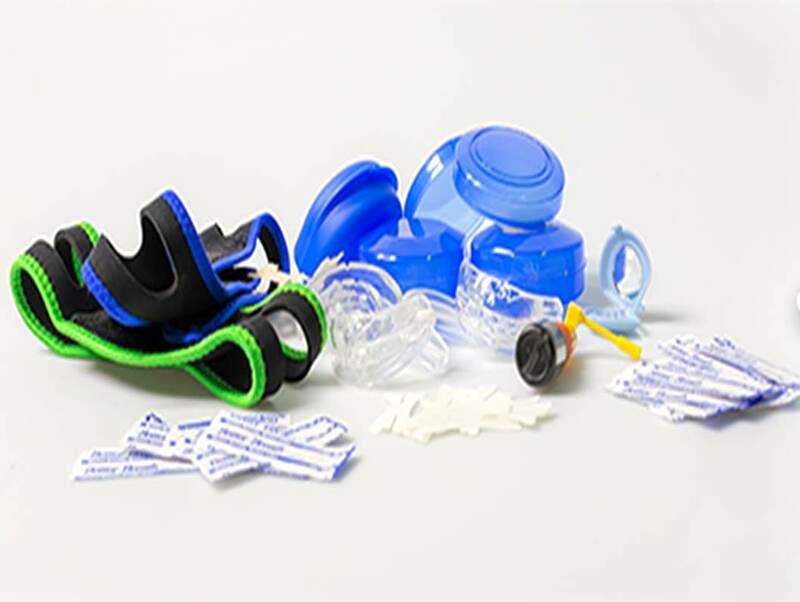 The American Academy of Dental Sleep Medicine has identified oral appliances as an effective treatment for snoring and mild obstructive sleep apnea. How Long Does The Mouth Piece Last? 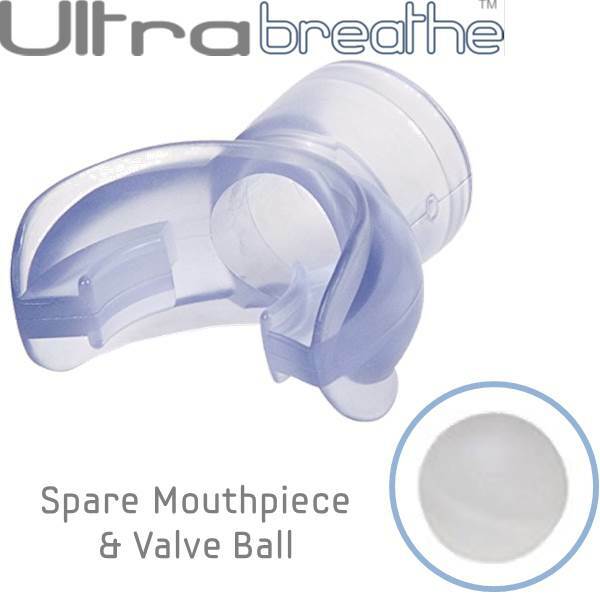 The mouthpiece lasts approximately 4-6 months. This does differ from person to person (a bit like a toothbrush) it depends on the pressure placed on the appliance in holding the bottom jaw forward. It is also more hygienic to replace the mouthpiece regularly. This is because the polypropylene that it consists of needs to be soft enough to be comfortable. Over time, this softness causes the mouthpiece to stretch, moving the jaw backwards in position. If the material was too firm, you would experience discomfort in the teeth and jaw. Yes, all adults can use mouthpiece since it will take the precise shape of your mouth, big or small. Can People With Dentures Use This Product? No, this mouthpiece is not suitable for persons who wear dentures. Can Children Use This Product? No, children’s teeth and jaw are still developing so we do not recommend it be used on children. Usage of the mouthpiece is normally very well tolerated. There are minor and temporary side effects and this refers mainly to hyper-salivation and morning discomfort. Over-extension of the jaw has been clinically shown to cause TMJ and pain. Selecting an oral appliance that does not offer jaw advancement calibration capability may be hazardous to your health and may lead to TMJ. How long after starting use does the mouthpiece take effect? Please allow an adjustment period to become comfortable wearing an oral device. Start by wearing it for short periods of time (an hour or so) each day for 3 days. Then wear it all night. This allows you to adjust naturally. Does The Mouthpiece Contain Latex? No, It is made from a FDA approved thermoplastic and is approved for medical dental use. 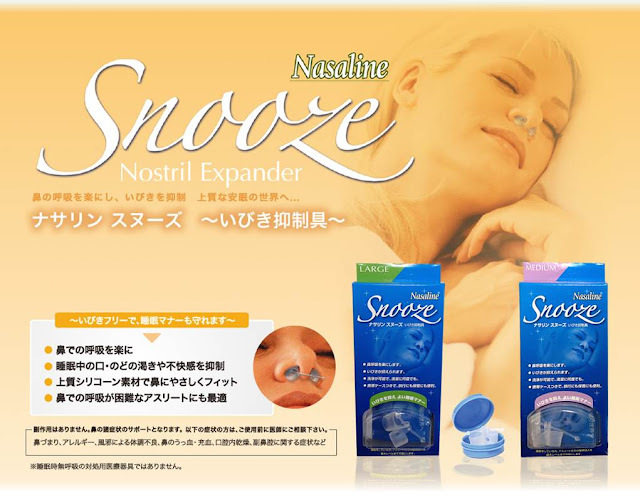 Can I Use Snore Eliminator To Protect My Teeth From Grinding And Clenching (Bruxism) While I Am Sleeping, Even If I Don't Snore? Yes! 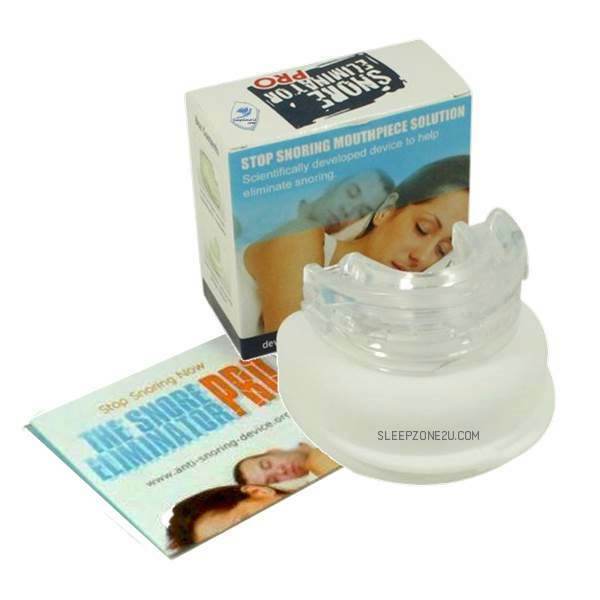 All you do is mold the Snore Eliminator to your teeth with your jaw in a normal position. How Do I Clean The Snore Eliminator? We recommend washing your mouthpiece with warm water, a toothbrush and toothpaste, after each use. You may also clean it using denture cleaner. Is the device right for people with sensitive gums and/or teeth? If you have gingivitis (chronic swollen or sore gums), you should consult your medical professional to determine if this product is right for you. 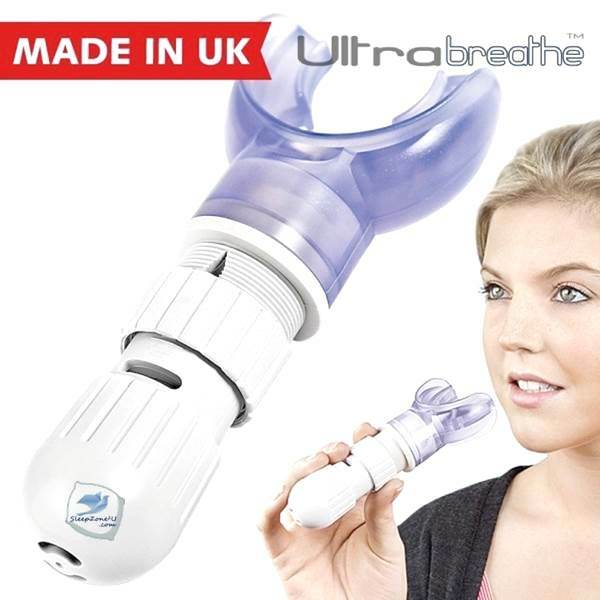 Can the device be used in place of a CPAP machine? 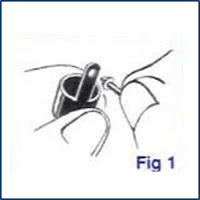 Our clinical studies support the use of this mouthpiece for treatment of mild to moderate sleep apnea. Some people substitute it for a CPAP on occasion or on vacations. Consult your medical professional for your individual needs. Is the device recognized in the treatment of sleep apnea? Oral appliances can be worn if you have mild sleep apnea. Consult your medical professional to be certain this is OK for your condition. Snore Eliminator™ PRO is the most advanced and effective anti-snoring product in the market, which offers the best custom fit available in an adjustable oral appliance. The adjustable Snore Eliminator™ PRO works by a method called 'mandibular repositioning' whereby the device gently advances your lower jaw forward, which creates an open airway through your throat, eliminating the vibrations that cause snoring. This is the key principle in all snore mouthpiece or oral appliance devices available from your sleep physician or dentist. Snoring mouthpieces generally work well because the move the lower jaw forward which in turn opens the airway that gets restricted by the soft pallet when sleeping and causes snoring. The problem with snoring mouthpieces on the market today is that they have only one setting of the jaw slightly forward, i.e. one solid piece that can usually mold to your mouth, and cannot adjust to your personal requirements. Snore Eliminator™ PRO can be adjusted to increased or decreased forward placement of the lower jaw to prevent snoring as needed. Some people will need to increase the lower jar placement over time, which just isn't possible with any other normal mouthpieces. Snore Eliminator™ PRO is unique in that it allows you to custom micro calibrate the setting at any time to achieve a custom comfortable fit. 10 calibration settings in 1mm increments ensure a comfortable fit. This is vitally important for comfort and effectiveness. The American Academy of Sleep Medicine recommends oral appliances as the first interventional therapy. Every person has a unique bite and jaw. Snore Eliminator™ PRO allows you to dial in your optimal comfort setting in 1 millimeter increments so you may sleep comfortably through the night. Settings may be unlocked and reset at any time for maximum effectiveness. What jaw advancement setting is best to use? 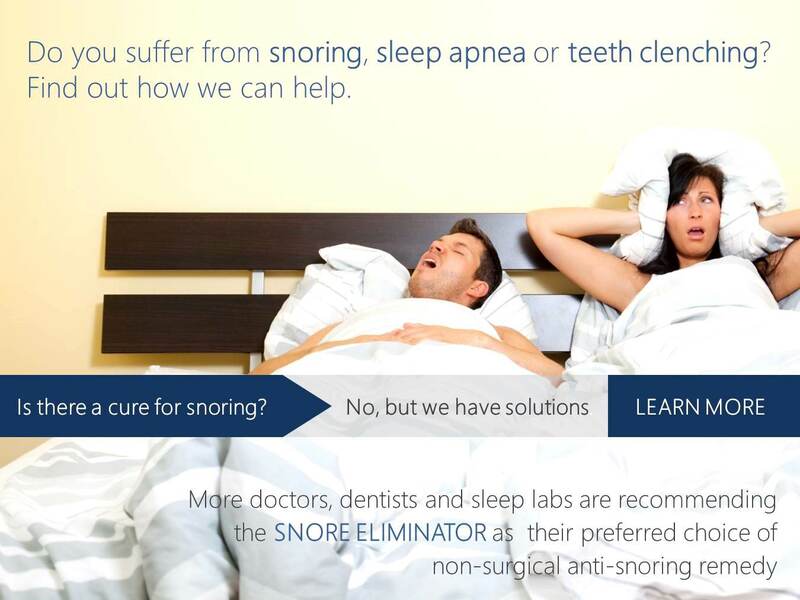 Snore Eliminator PRO is an oral appliance offering calibration in 1mm increments. This is also called Jaw Advancement Calibration. 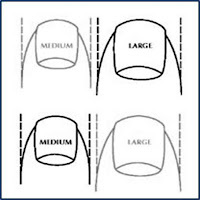 Most users find the best setting at 3 millimeters which is why we recommend customizing the device at this setting. Some users will need a slightly higher setting while some will need one that is lower. Over-extension of the jaw has been clinically shown to cause TMJ and pain. Selecting an oral appliance that does not offer jaw advancement calibration capability may be hazardous to your health and may lead to TMJ.